Made in the USA. Tested and Certified to ASTM F1004-15a Standard. 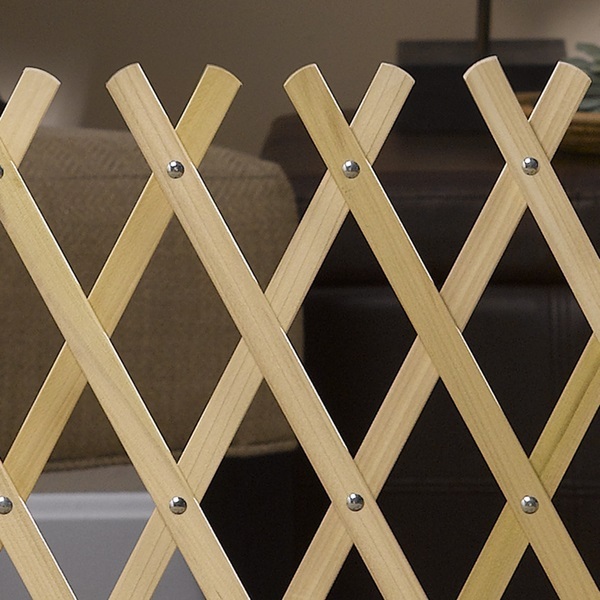 The 36” KeepSafe® wood expansion gate is great for both children and pets. It is highly recommended over other gates by many Major Kennel Clubs. It features an uneven top, which pets will not jump over since they do not see a "push off" point. It has also been used by our customers for keeping deer off of their porch and out of their gardens. 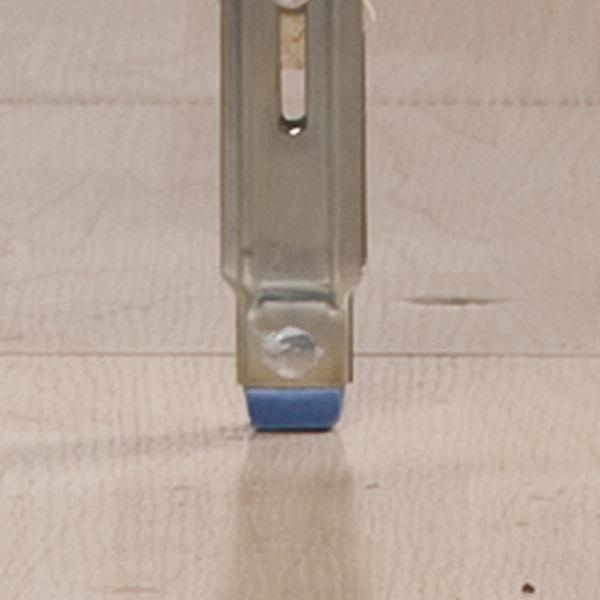 Our entire KeepSafe ®line is "Top of Stairs" certified. It swings up to 270 degrees, according to how it is mounted, for convenient walk-thru ability and storage against the wall when not in use. 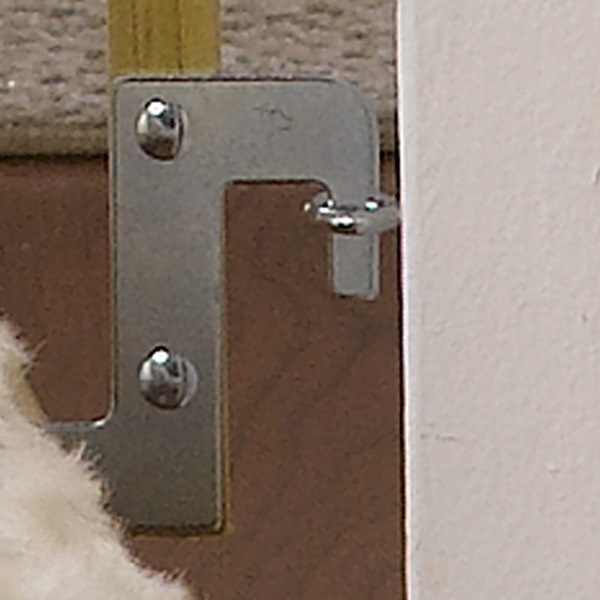 This gate also features our “Soft Touch Finger Latch” which allows you to easily open and close the gate with one hand. The patented rivet design prevents pinch points and securely attaches to the wall with simple hand tools. This gate was exclusively designed for babies and small children ages 6 to 24 months. We, along with many major kennel clubs, highly recommend this gate to pet owners. Fits openings: 21"- 36"(W), 32"(H). Including uneven openings. Collapses to the industry's smallest profile and swings out of the way when not in use. 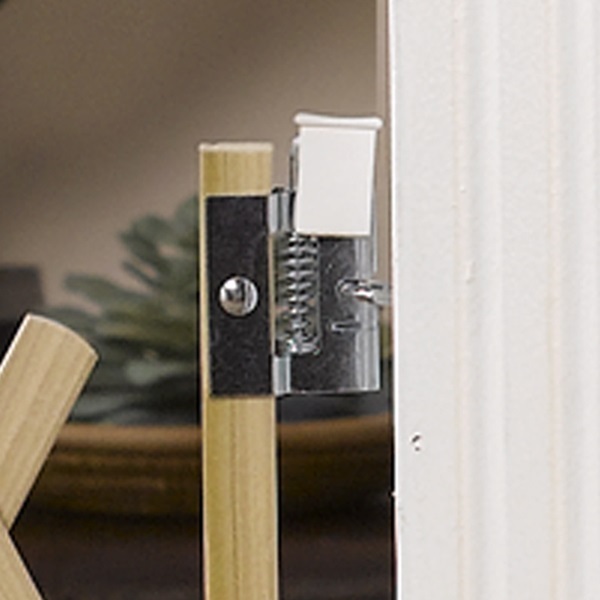 PLEASE NOTE: ALL KEEPSAFE® GATES COME COMPLETE WITH MOUNTING HARDWARE.